Want a sneak peek at the performances that local dancers take to competitions and help support movement in the community at the same time? High Desert Dance Arts presents the Jrny2dance Benefit Show this Saturday evening. "We're doing a show every year, benefitting some foundation or some organization," said High Desert Dance Arts owner Mica Stafford, noting that last year, the show benefitted Inheritance of Hope. "This year, we're doing the Crook County Foundation, Crook County On The Move. We really wanted to keep it local and promote movement in the community and the different things that they do." The Jrny2dance Benefit Show features around 50 dancers, including 29 from HDDA. "We have some amazing pieces, I mean wowie — really cool," Stafford said. "We have jazz, we have contemporary, we have solos, duets, hip-hop, lyrical, modern, musical theater even." 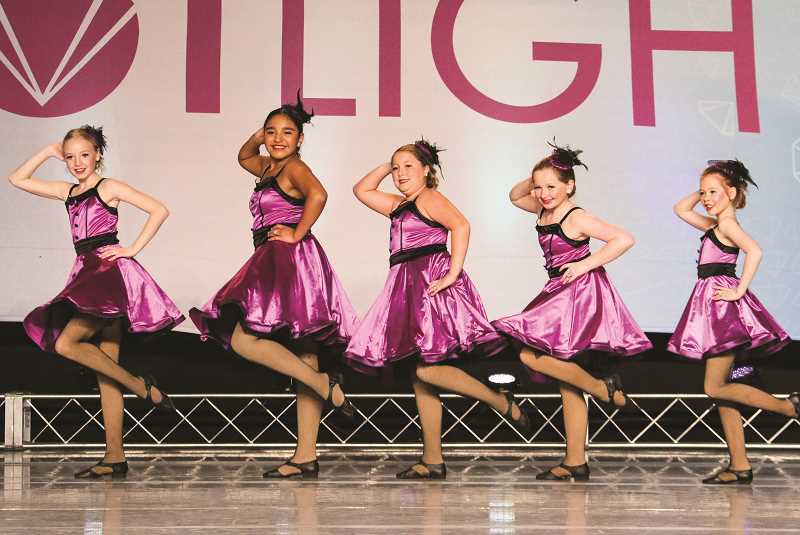 Competition dancers ranging from ages 8 to 18 will perform, and the show will feature an adult performance as well as special guests from studios in Bend. The 70-minute show begins at 6 p.m. Saturday, Jan. 26 in the Crook County High School auditorium. Tickets are $15 each or two for $20 and are available in advance at the dance studio or at the door. All of the proceeds will go to the Crook County Foundation's Crook County On The Move program. "As a community partner of Crook County On The Move, High Desert Dance Arts will have the opportunity to work alongside our other community members to find the best avenues to support our three areas of focus: Keep Moving, Be Nourished and Stay Refreshed," said Donna Barnes, president of Crook County Foundation and chair of its Crook County On The Move program. She said that currently, CCOTM is working on several projects to encourage movement and social interaction in existing parks and trails, increase awareness of the contribution local food sources and wholesome foods have in improving health, and improve health in local schools. Additionally, in all their projects, they strive to improve community connections, create social interactions and promote volunteerism. Stafford chose CCOTM as the beneficiary because it focuses on the older people in the community, making it easier for people to keep moving as they age. They also work with the food bank to encourage healthy eating. "A foundation like that, that's supporting the community, helping build stronger, healthier habits, is something that I'm really, really passionate about," Stafford said. Barnes said the foundation encourages movement for all ages. "At an age when we all felt invincible, these young performers are valuing the importance of creating healthy lifestyle habits," she said. "Crook County On The Move is amazed by their insight and dedication to our community." Barnes said the instructors at High Desert Dance Arts are teaching children so much more than dance steps. "They are instilling presentation skills, teamwork, a love for arts, the lifelong benefits of movement, and the importance of giving back to the community," Barnes said. "We need to support their efforts to incorporate confidence, grace and a love for others into their students' everyday lives." HDDA staff came up with the idea for an outreach program about a year-and-a-half ago. They created Jrny2dance, a nonprofit with three parts: outreach, a benefit show and a scholarship program. Stafford teaches dance to elementary students as part of the outreach portion. They have a scholarship fund for kids who want to dance but need financial assistance, and the benefit show is the third part of Jrny2dance. A year ago, HDDA put on their very first benefit show and raised $5,000, enough to send one family on a legacy retreat. Inheritance of Hope helps families navigate the challenges of a parent's terminal illness. "All the dancers are excited because they obviously love movement, but this is the one shot they have to show their competition pieces off," Stafford said. HDDA dancers often compete in places like Portland, Vancouver and Seattle, so the locals don't get to see those numbers, although they will put on a public recital on June 16. "It's nice for people that would want to see what they do outside of our regular recital," Stafford said. She believes it's important for the community to support the arts and invites them to what she calls an amazing show. "The kids here in the community are fantastic dancers," Stafford said. "I'm really happy to be giving back to the sweet little community we live in." Place: Crook County High School auditorium, 1100 SE Lynn Blvd.